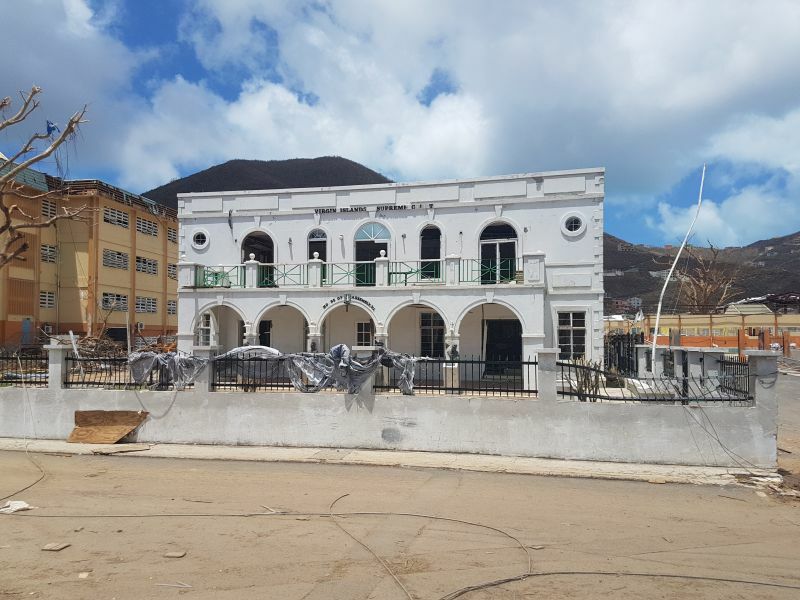 ROAD TOWN, Tortola, VI- Almost three weeks after Hurricane Irma devastated the Virgin Islands (VI), leaving death, homelessness, chaos, looting and confusion, with no one clear as to who is in charge, the House of Assembly (HoA) is to meet. While the date has not been confirmed, our senior National Democratic Party source told our newsroom that the government is concerned about lifting the State of Emergency that gave the young 38 year old unelected governor, Augustus J. U. Jaspert, ultimate power over the British Overseas Territory. The State of Emergency is written in a way where the HoA has to meet in order for it to be lifted, the source alleged. Following the State of Emergency issued after Hurricane Irma, there was widespread misinformation that the 6 year old Dr Smith Government was dissolved; however, the Governor told reporters "that is not the case." However, he remains the boss of the country, with some saying even the Police Commissioner, Michael Matthews, has more power than the elected Premier. Many residents have claimed that Premier and Minister of Finance Dr the Honourable D. Orlando Smith (AL) has been sidelined, as the British Military took over the airport and Mr Smith has been left to seek attention by being advised to hold press conferences, and put a positive spin on the grave situation in the VI. To place the right spin on things, Governor Jaspert told our newsroom that he consults the premier on "all major decisions". With the HoA Chambers in ruins, along with the HoA offices at the G. Stoutt Buildings in Road Town, preparation is being made for the HoA meeting to take place at Ritter House located on Wickhams Cay II. Following the Category 5 hurricane on September 6, 2017 that destroyed Tortola, most of Virgin Gorda and Jost van Dyke, the VI has been plunged into a stated of desperation, uncertainty, homelessness, price gouging, long gas, laundry and food lines and a curfew has been imposed. Some 25 % of the population of about 40, 000 residents have left the VI and more are expected to leave once sea and airports open in the neighbouring USVI. keep the curfew on until this place is back on track. You are seeing the sky through the roof of the high court building. Is that the same HoA building they refused to let the governor sworn in at? What a thing to tell the queen. If they believe that Irma is bailing them out of the millions stolen, they have a huge surprise coming. I want to know where is BVI Airways? The damage is unbelievable! The emergency is long lasting. That hurricane, tornado, sunami and typhoon all in one caused more than a state of emergency. THOUSANDS HOMELESS, 19 and more PERSONS living in one or two bed room apartments at a time. WHAT EVER living rooms and bed rooms left are converted to homes per families.!!! Children and parent(s) sleep at night with one eye open to catch any dirty child MOLESTER! THIS is not a 30 day fix! People want you out their house and you have no where to go. Wcan try to give investors hope bu no so fast. Sort out the key issues of homes, food and water first.